John Longo is a senior technology executive and consultant with extensive leadership expertise across business disciplines in the telecommunications service and technology sectors. He consults with companies on product, market, and business direction taking into account current technology, regulatory, and market trends and over twenty years of direct industry background. Combining John’s industry background with his study of deeper consciousness, John developed CBEvolution™ (www.cbevolution.com) - a professional services firm focused on helping companies understand and capitalize on the shift in corporate consciousness underway, maximize results by aligning with its ideal market segments, and improve performance by identifying and removing blocks to its success. With global leadership experience, including building a $400M global data services business, running a multi-billion dollar product management organization, and direct assignments in Europe and Asia, John understands global management issues from both a market and organization perspective. He has managed international teams and multi-cultural environments, has consulted at a variety of companies, and has studied the industry and reported on key technology and market trends as an industry analyst. As an independent industry analyst and consultant, John studied and consulted in a variety of areas including, mobile barcode trends, broadband markets, technology trends, regulation, and government stimulus funding. Assignments have also included developing a product strategy marketing plan for a telecommunications firm specialized in the financial services industry to product strategy and marketing programs for a national waste management company. John also consulted with a number of companies on the subject of Broadband over Powerline (BPL) including, investor owned utilities, municipal utilities, service providers, equipment providers, and private equity investors. Direct industry experience includes key leadership assignments at NexTone (later NextPoint), Global Crossing and AT&T. Most recently John served as Vice President, Marketing, at NexTone Communications and then Vice President, Product Marketing & Management, at NextPoint Networks when NexTone merged with Reef Point. John directed an effort to revise and focus NexTone’s product strategy and led the company’s explorations that resulted in the merger with Reef Point to broaden the company’s reach into the mobile community. Earlier, John served as Vice President, Data Services, for Global Crossing where he joined the start-up sub-sea cable operator and built a $400M global data services business with a Tier 1 Internet backbone. At Global Crossing John also served as Vice President, Advanced Services, in which he led the company’s regulatory strategy for the evolution of TDM voice to VoIP. He was a founding member of the Inter-Carrier Compensation Forum, which was and industry-wide initiative to revise the access charge structure taking into account VoIP technology and the Universal Service Fund. John began his telecommunications management career with the Bell System just prior to its divestiture of the Bell Operating Companies. During his 15 year tenure with AT&T he rose through the ranks from Engineering Supervisor to Marketing Director for Internet Services. Assignments included Operations Manager for switching services in Utah and Idaho; Access Billing Manager, including verification and claims processing; National Account Manager for the Hewlett-Packard account; Customer Support Center Manager; Strategic Planner; and various support functions. 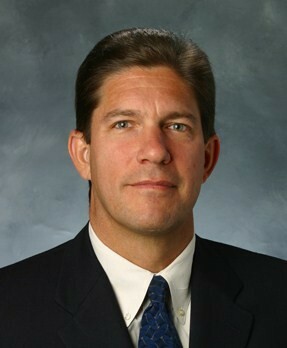 In his last assignment with AT&T, John served as Director of Sales for Internet Services at AT&T Unisource, a joint venture with KPN Telecom, Telia, and Swisscom, in which he was based in Hoofddorp, The Netherlands, and was responsible for sales across Europe with direct employees in several countries. John served for six years in the U.S. Air Force as a private-line telecommunications technician with assignments at McClellan AFB, CA; Yokota AB, Japan; and Andrews AFB, MD. He received an Associates of Applied Science degree from the Community College of the Air Force and a Bachelor of Science degree with honors from the University of Maryland, Far East Division while stationed in Japan. He then received a Masters in Business Administration degree with honors from the University of California, Berkeley (now the Haas School of Business) upon completion of his military service. John is based in Olney, Maryland.